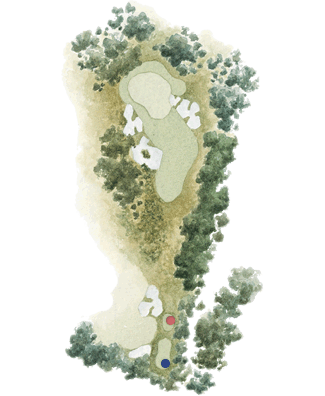 The fourth is one of the best uphill short holes in the game. It calls for a controlled draw from the tee, and the further left the pin, the bigger the turn required from right to left if the player is hoping to get close enough to make a three. The front edge of the green runs diagonally from right to left, so the further left the shot, the longer the carry.